It must be acknowledged that the use of the Running Man image does not consider those people with a mobility impairment who deserve the same rights as any other building occupant, including knowing where an accessible means of egress is. A more inclusive approach should be adopted to cater for everyone that adopts the principles of universal design. 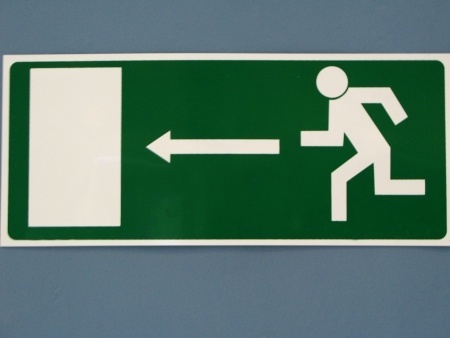 The Running Man exit sign has been around for many years now and provides an international graphical indication of where an exit is located within a public facility. 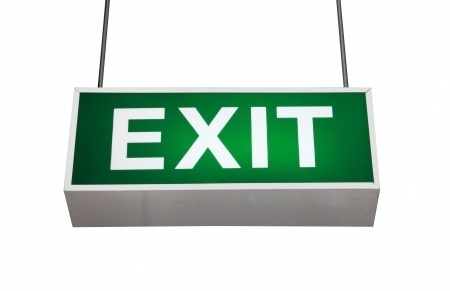 This is important for safe evacuation of a building during an emergency, such as a fire. The Running Man design was introduced into the 1987 international standard on pictograms as a consistent approach, and international approach and a move away from using words in the native language (i.e. “EXIT”). The actual design of the running man was created by Yukio Ota in 1979 and has since been accepted into standards in Australia, Britain, Norway and many parts of Asia. It is now adopted into the current edition of ISO 7010. It could be argued that the reliance on this sign to designate exits is out-dated and discriminatory, with many countries mandating legislation for disability rights after the year of design (1979) and adoption of the Running Man (1987). In other words – it’s time for a change. The design is available for download from The Foundation for Promoting Personal Mobility and Ecological Transportation (abbreviated as “Eco-Mo Foundation“) in Japan. The foundation was established to promote a barrier-free transport promotion program. It is understood that the use of the Running Man is free to be used by anyone given it can be accessed at the Eco-Mo Foundation website and freely downloaded (though any manufacturers should confirm this first with Eco-Mo Foundation). Wikimedia Commons also considers it freely usable for all purposes, i.e. effectively in the public domain. The design has since been varied, modified and adopted by sign manufacturers.